College tours are extremely vital when trying to decide on a school. Here at Hofstra, our tours are really the thing that sets us apart! With such great Pride Guides, the tours here are anything but boring! I talked to some of the Pride Guides and asked them to tell me about their favorite moment from a tour they gave. Here's what they said! Ashley Mungiguerra, a junior journalism and political science major, talked all about how her favorite moment from a tour is when a prospective student came just to look at Hofstra, but at the end of her tour, the student was ready to pick up an application. 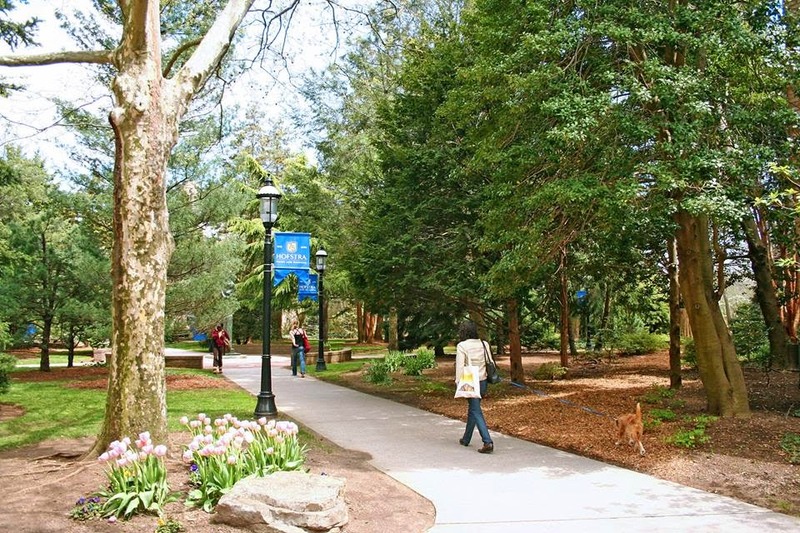 Ashley remembers how hard it was to pick a school back in her senior year of high school, so it really makes her feel great when she can make it easier for people when giving them a look around Hofstra! Sarah Bartis, senior broadcast journalism major, talked about how a couple of families have said that the tours here at Hofstra are so different from any other school. They have told Sarah that our tours are much more personal than anywhere else, which they are so grateful for! This really makes her feel like all of her hard work is paying off and made her realize how important her job actually is. Emily Lenguadoro, a senior public relations major, talked about one specific moment from a tour that she will never forget. After already having a bad day, one family made her day when they claimed that she looks extremely similar to one of the actress on the show Game of Thrones. She said that although this was a small gesture, she loved how her tour instantly changed her mood. One more story was shared by Melanie Rainone, a junior journalism & creative writing major. Once before a tour even started, a mother was looking through all of the Pride Guide bios and came across Melanie’s page. The mother then went up to Melanie and explained how her daughter was interested in all of the same things that she was, which made the mother so much more comfortable that there was already someone at this school just like her daughter. This truly made Melanie realized how influential she is to new, visiting students. Ready to see Hofstra? Register for a visit!